If you are interested in our school please feel free to contact us for more information or a private tour to discuss your Preschool or Childcare needs. We have Current and Fall openings in both classes. 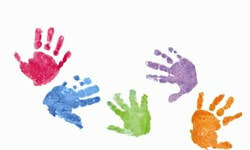 Thank you for your interest in Michele's Montessori School. 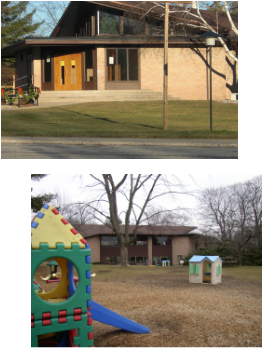 Established in 1999, we are located inside the Holy Family Church at 4611 Swede Ave. in Midland, Michigan. We are proud of our school and what we have to offer our children. We are a Montessori School and Child Care Center with the philosophy that every child should be given the opportunity to grow and mature in a nurturing environment. Following the teachings of Dr. Maria Montessori we believe that the child develops at his or her own rate and their motivation to learn is encouraged through the development of their own coordination, concentration, independence and order. To encourage this voluntary learning the child is free to choose within a non-competitive, blended age classroom referred to as the prepared environment. This belief allows that every object in the classroom has a specific place and purpose. The staff at Michele's Montessori are dedicated to children and each classroom will be staffed by a certified Montessori Lead teacher and 2 or more assistants, who are certified in CPR and First Aid. Our school offers several different programs for children 2 1/2 to 12 years of age and also offers transportation for those children attending the elementary schools in the area. All classes follow the Midland Public School calendar year and the Child Care continues during the summer. You will find more information about our programs and school on this website. We welcome you once again to our website and would encourage you to contact us with additional questions or to schedule a tour after exploring the site. them about the importance of making other children feel comfortable while in the hospital.